Sony FS-7 4K & Canon Lens Kit is available for rent. RentOClick is a One Stop Solution for all your Rental Needs. Rent camera & lens Advance Kit to stabilize your photography and videography skills. 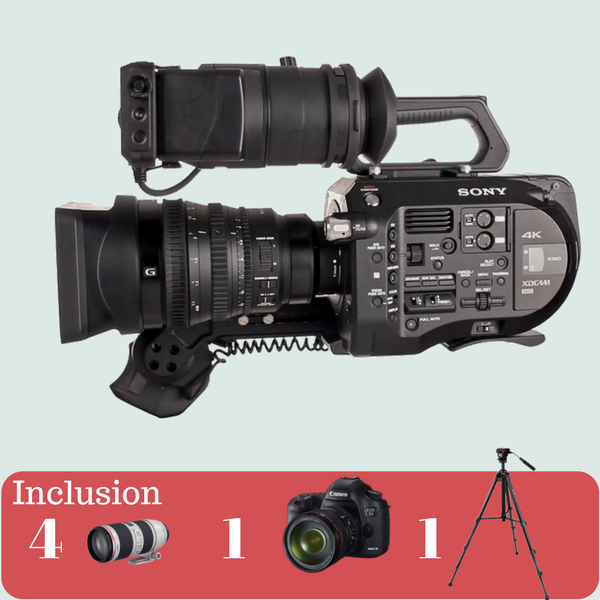 Sony FS7 Camera Package Rental is available with customized options. Rent an FS7 Camera Package & Save up to 30%.